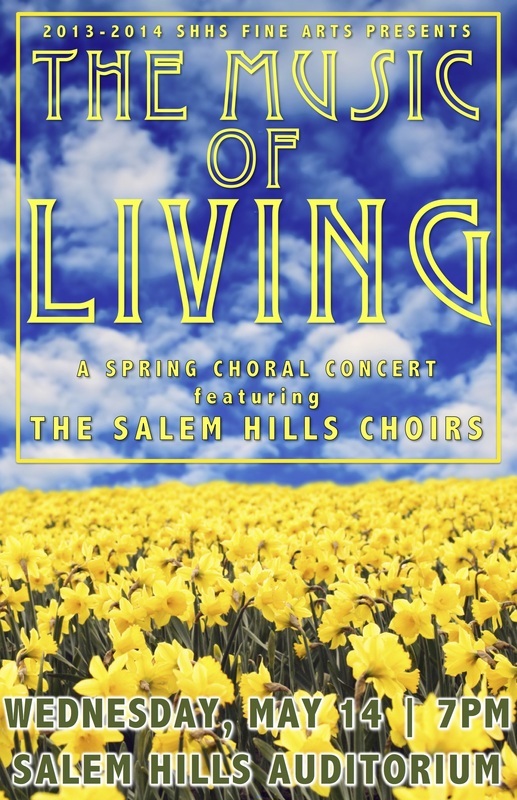 This is the official website for Salem Hills High School Choirs--its members, parents, and fans. Click on the Auditions Tab above to find out more information! Sign-up for an audition time online, and do not be late for that time! You must also have the necessary paperwork already filled out. The audition form is an online document that must be submitted prior to your audition. This form can be found at www.shhschoirs.org. There is an additional signature page that must be signed by both the student and a parent prior to auditioning. The signature page can also be picked up outside the Choir Room at SHHS. Auditions will take place at the end of April/beginning of May after school in the SHHS Choir Room. You may only audition if you fully intend on being part of one of these ensembles next year. Check your class schedule for next year to be sure you have enough room to participate. SOPHOMORE WOMEN ONLY: Sophomore women may audition and earn a spot in Serendipity. Concert Choir is only open to junior and senior women. SOPHOMORE MEN ONLY: Sophomore men may audition and earn a spot in Concert Choir, but they must also be simultaneously enrolled in Men’s Camerata. No exceptions. If you are interested in Singers, you must have room in your schedule for both Singers and Concert Choir. Members of Singers must be simultaneously enrolled in Concert Choir. There are no exceptions. Anyone interested in auditioning for Singers must be available to attend Singers Retreat in August and also be available for performances throughout the month of December. Be on time for your audition. Arrive early to avoid being late. You should arrive already warmed-up vocally. The Term 3 Self-Assessment for all five SHHS Choirs is will be open and ready to accept responses following tonight's showcase. This assignment is due no later than 8am on Monday, March 18th. Members of Singers MUST WAIT UNTIL AFTER our Region Chamber Choir Festival this coming Wednesday before they can complete this assignment. Please be thoughtful and introspective as you respond to the questions in the assessment. Please take time to say what you really feel. This isn't a race. We appreciate your ability to reflect and think like an adult. You are required to complete an assessment for each choir you are enrolled in. Men in Concert Choir DO NOT have to do an assessment for Men's Camerata, unless they are actually enrolled in the class. We respectfully reserve the right to talk with any student who we feel has either been too hard or too generous on grading themselves--but we generally will trust your instincts and assign you the term grade you feel you deserve. Be fair, but honest in your evaluation of your overall attendance, participation, behavior, and preparedness. I will input Term 3 Grades on Thursday afternoon, March 14th. Those who have not yet completed the self-assessment by then will have an F for their grade until it is completed. I will not update grades over the weekend, so please do not email me asking me to do so. I'll update grades on Monday morning with all Assessments submitted over the weekend. Late submission of the assessment (after 8am on Monday, March 18th) will result in a half letter-grade reduction. So do not procrastinate your completion of this assignment. Grades need to be finalized no later than Wednesday morning, March 20th. 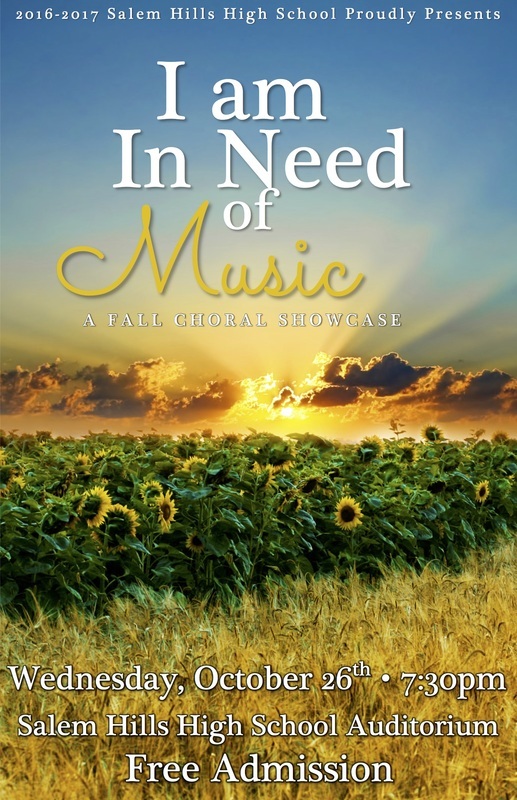 Sonus Productions is once again producing DVDs of our Broadway Best Concert, "Take My Hand." Please click the link here to order a DVD ($15). Sonus Productions requires that we sell at least 20 DVDs in order to fulfill our contract. So, if you are interested, please don't hesitate to order now. 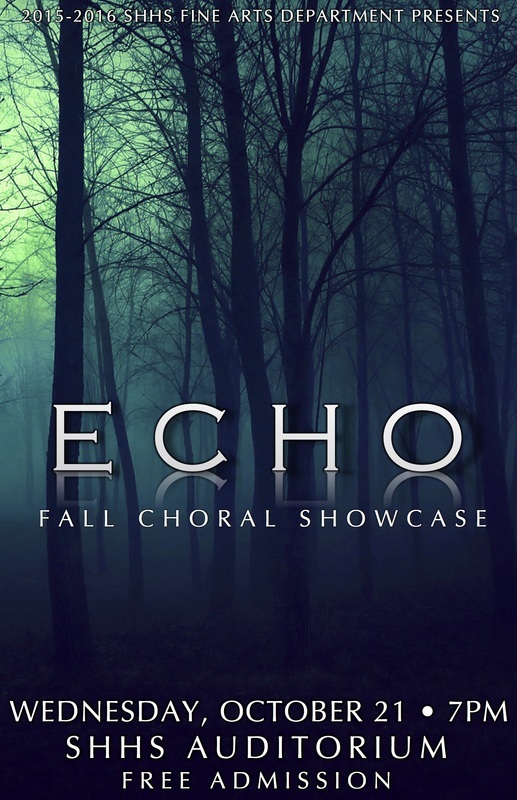 The Term 2 Self-Assessment for all five SHHS Choirs is will be open and ready to accept responses following the showcase. This assignment is due no later than 7:50am on Monday, January 14th. We remind you to please be thoughtful and introspective as you respond to the questions in the assessment. Please take time to say what you really feel. This isn't a race. We appreciate your ability to reflect and think like an adult. We respectfully reserve the right to conference with any student who we feel has either been too hard or generous on grading themselves--but we generally will trust your instincts and assign you the term grade you feel you deserve. Be fair, but honest in your evaluation of your overall attendance, participation, behavior, and preparedness. Starting on Thursday, January 10th, students who have not yet completed the self-assessment will have an F for their grade until it is completed. After January 14th at 7:50am, students who have not completed the assignment must have a personal interview with Mr. Bills to work out their grade. If you need permission to travel to Temple Square or home from Temple Square with your parents, please use the link below to submit your request. As a reminder, I cannot give you permission to drive to or home from Temple Square with anyone but your own parents. The Term 1 Self-Assessment for all five SHHS Choirs is will be open and ready to accept responses following the showcase. This assignment is due no later than 7:50am on Monday, October 29th. Starting this Friday (October 26th), students who have not yet completed the self-assessment will have an F for their grade until it is completed. After October 29th at 7:50am, students who have not completed the assignment must have a personal interview with Mr. Bills to work out their grade. Sonus Productions is once again producing DVDs of our showcase, "Tribute." If you order before October 24th, you may use the code SALEMHILLS001 at checkout to receive a 10% discount. Click below to complete the Self-Assessment for Term 4. We recommend typing your answers in a separate word document so you don't lose your work if your internet connection is interrupted. To earn credit, this must be submitted no later than 8:00am on Tuesday, May 22. 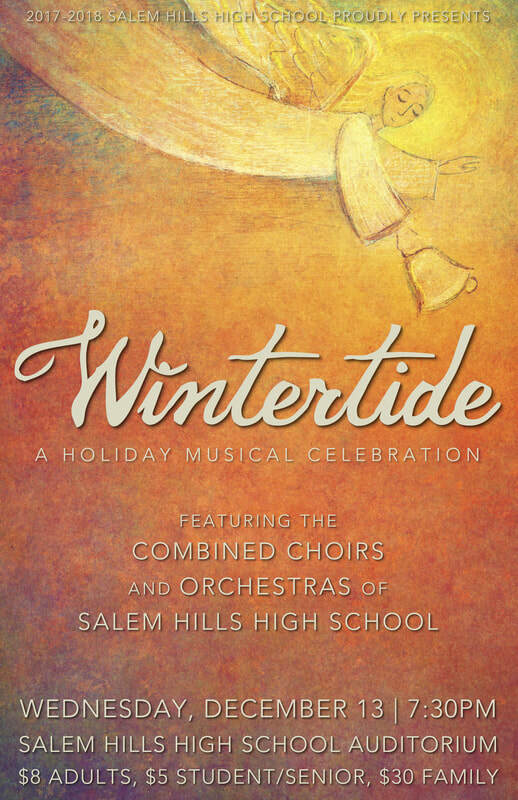 ​Our annual Christmas concert, "Wintertide: A Holiday Musical Celebration" will be next Wednesday, December 13th at 7:30pm. 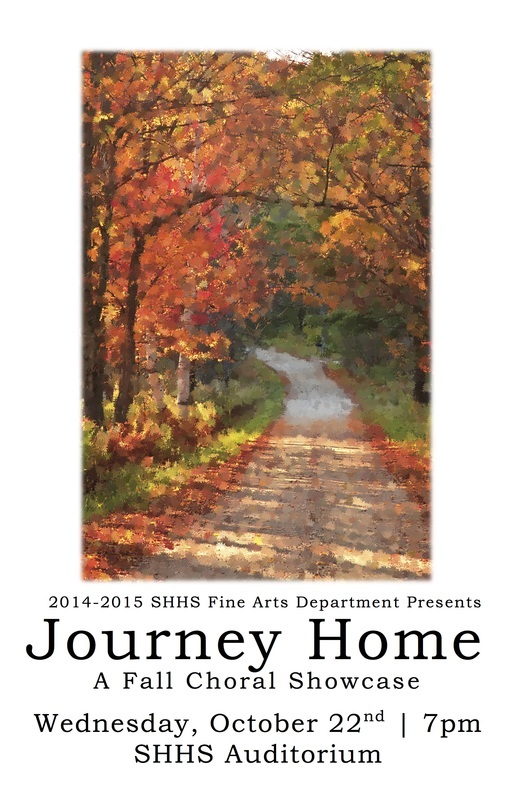 Tickets are $8/adults, $5/children 5-18, senior citizens, and military, and $30/family pass (living in your home). Tickets are available for immediate purchase at the finance office. Sonus Productions is once again producing CDs and DVDs of Wintertide. Please click the link below to order a CD ($12) or a DVD ($15). Sonus Productions requires that we sell at least 20 CDs and DVDs in order to fulfill our contract with him. So, if you are interested, please don't hesitate to order now. Using the link below, please indicate which bus you'll be riding to Temple Square and whether you're going home on the bus or with your parents. Students may purchase choir gear using the choir gear order forms handed out in class. Choir gear orders are due with receipts attached on Thursday, November 9th. We have officially launched our annual Cookie Dough Fundraiser to help students raise money for their tour to Washington DC later this school year. Students have brochures with 10 varieties of 2 lbs tubs of cookie dough (yields about 4 dozen cookies). Each tub is $16 and students make about 45% of that in profit. Money and order forms are due on Thursday, November 9th. Click below to download the Tour Commitment Form. Click below to complete the Self-Assessment for Term 4. I would recommend typing your answers in a separate word document so you don't lose your work if your internet connection is interrupted. To earn credit, this must be submitted no later than 8:00am on Friday, May 26. ﻿﻿Thank you to everyone who auditioned. 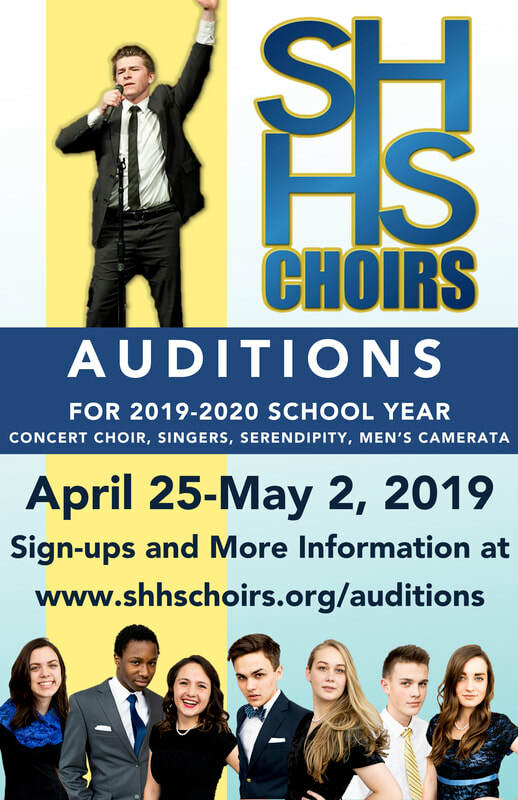 Please click below to see the results from auditions and next year's enrollment in Serendipity, Concert Choir, and Singers. Click here to download the music that needs to be prepared for Singers Callbacks on Thursday, May 4th. Singers callbacks will be held 5-7pm on Thursday, May 4th. Please learn the music as quickly as possible. Memorized is best! Please dress nicely for the callback. Click below to complete the Self-Assessment for Term 3. I would recommend typing your answers in a separate word document so you don't lose your work if your internet connection is interrupted. To earn credit, this must be submitted no later than 8:00am on Tuesday, March 21st. Please click the links below to to access the choreography videos and the rehearsal recordings. Bre Welch, our wonderful choir photographer this year, is going to give everyone until February 1st to order prints off of her website. You may still order digital copies of your photos if you wish, but printed version of your picture or of any of the group photos must be ordered by Wednesday, February 1st. To order prints or digital copies of your pictures, use the link below and select the shopping cart option. Prints of your individual picture are $30, prints of the choir pictures are $15. Digital copies of your individual picture are $5. Please do not screenshot your photo and share it on social media. Those pictures are under a copyright and protected by our photographer. The only way for photographers to stay in business is for honest users to pay them what they are worth. If you have already shared your screen-shotted picture on social media, will you please take it down and purchase the real copy (only $5) so you can share it legally? Click below to complete the Self-Assessment for Term 2. I would recommend typing your answers in a separate word document so you don't lose your work if your internet connection is interrupted. To earn credit, this must be submitted no later than 8:00am on Tuesday, January 17. Please click the link below if you need to get permission from Mr. Bills to 1) drive up with your parents, 2) drive home with your parents, or 3) be excused from the performances. Click below to complete the Self-Assessment for Term 1. I would recommend typing your answers in a separate word document so you don't lose your work if your internet connection is interrupted. To earn credit, this must be submitted no later than 8:00am on Monday, October 31st. 3) Click that you "Agree to Terms"
Auditions for 2016-2017 SHHS Choirs are scheduled for April 29, and May 2, 3, 4. However, registration for next year's classes is happening now. In order to reserve your spot, it is crucial that you add choir to your course requests as you are arranging your classes for next year. This is the only way to guarantee you will be able to have choir on your schedule next year. You may sign-up for an audition time beginning on April 11th in the B-Hall. Auditions will last about 6 minutes. During your audition, you will be asked to sing a short song (from an approved list). Your vocal range, sight-reading, tonal memory, and intonation will also be assessed. Best dresses is recommended for setting the best first impression. As a reminder, Concert Choir is open to all junior and senior men and women, and sophomore men who are able to concurrently enroll in Men's Camerata. Serendipity is open to all women, as is Women's Chorale. Women's Chorale and Men's Camerata do not require an audition. Singers is reserved for senior and junior men and women. The important thing is that you add choir to your course requests, to ensure you can put it on your schedule next year. ﻿​﻿Click below for more information regarding the SHHS Solo & Ensemble Festival, held this year on Thursday, February 11th, 3-6pm, at Salem Hills High School. Our annual concert at Temple Square is this Saturday. We will meet in the choir room no later than 11:45am, dressed in your concert uniform. You should also bring cold weather gear. The LDS Church has asked that we bring very few additional items with us (bags, etc.) because storage of these items is problematic. The buses will leave at noon, but we need everyone there at 11:45am. You'll have some free time at City Creek Center and Temple Square for lunch. We then meet at 3:30pm in the lobby of the Joseph Smith Memorial Building, with a 4pm start time for that performance. We then move directly to the Assmebly Hall for a quick rehearsal, and we begin our concert at 5:30pm. If you are not Singers, you are free to go home with your parents at 6:15pm, once the concert is concluded. You will need to have a check-out card with your name on it, that you have given to a chaperone. ​If extenuating circumstances require you to arrive separately with your parents, you must clear that with me ahead of time, and you must check-in with your section leader no later than 3:30pm in the Joseph Smith Memorial Building. Singers will be giving a concert at 8pm in the North Visitors Center. Following this performance, the remaining buses will go home (around 9pm). Since most student will go home with their parents at 6:15pm, only two buses will stay in Salt Lake to take people home. Men's Morning Munch rehearsals are scheduled for Tuesday, December 1st, Tuesday, Decemebr 8th, and Tuesday, December 15th. Each rehearsal begins at 7am, but your on-time attendance is absolutely required. Please plan to observe our ten-minute rule and be to this rehearsal no later than 6:50am. Donuts will be provided after each rehearsal. This Tuesday, December 1st, is Ugly Christmas Sweater Day. We'll have a hot chocolate party at lunch and an ugly Christmas sweater competition at lunch. The winner will receive a got card! So, please make sure to participate and come get your hot chocolate at lunch. ﻿Yankee Candles Fundraising offers a unique online sales experience, so students can get customers who aren't local. It's easy to do and can offer huge opportunities for students. 1) Navigate to www.yankeecandlefundraising.com and clik on the "Seller Login" button, then fill out the "Signup to be a seller" form and use our group number (990086355) to register. Simple instructions allow you to send informational emails to friends and family. Itemse they order across town or across country will ship directly to them and go toward earning additional profits. At Salem Hills, many teachers and coaches have started using "Remind" which is a free service in education for sending text message alerts to students. I am going to begin using this service in choir for important reminders. You will receive a confirmation text, asking you to respond with your first and last name. Please do this. I'm asking you to do this right now if you can! Parents may join the group(s) as well--a smart idea, especially if your child does not own a cell phone. You can join as many groups as you need to. Just follow the same steps as above, using the same number. Note that you will not need to re-submit your name for every additional group you join. I need all men in Concert Choir to also please add Men's Camerata so you will receive reminders about Morning Munch rehearsals and our combined men's performances. ​In preparation for the upcoming Fall Choir Showcase on October 21st, our combined Men's Camerata will be holding four Morning Munch rehearsals to rehearse our three combined numbers. Please adjust your schedules to attend these four combined Morning Munch rehearsals. I will provide donuts for all of these. It is important that everyone be a little early to these rehearsals, so they can start on time. Being ten minutes early is better than being even one minute late! The Concert Choir has been invited to sing that National Anthem at our homecoming game on Friday, September 25th. We will wear our SHHS Choirs polo shirts and jeans. Call time for Concert Choir is 6pm. There are obviously many members of Concert Choir involved in other groups who have different time and wardrobe commitments that evening as part of the game (ie. marching band, student council, football team members, cheer, drill). We will load the choir risers on the track at about 6:45pm. Whatever you are doing prior to that time, you must be in your place on the risers at 6:45pm. You may also wear whatever you have been asked to wear as part of the other organization you are supporting that evening. Everyone else will wear the polos and jeans. Our tour proposal has been approved by the District Office. Under the "Tour" tab, there is a link for the Tour Commitment Form. This needs to be printed out and turned in on September 23rd, along with your first tour payment of $300. The commitment form is simply a document that tells me whether or not you are planning to go on tour, and and that you will be responsible for making all payments on time. Please print it out and have it ready to turn in next Wednesday. I'll have some blank copies available to pick up beginning tomorrow. They need to be signed by a parent. No further information is required. The first tour payment of $300 is due next Wednesday, September 23rd. You may pay this in person at the finance office, or online at www.myschoolfees.com. At this time, the finance office can only take credit card/debit card payments in person, and not over the phone. All cookie dough orders are due Thursday, September 17th by 4pm. Under the "Tour" tab, there is a link to download the Cookie Dough Order Summary Page. This summary page needs to be printed out and completed to turn in your order. Please do not turn in the brochure (you'll need to keep that to know where to deliver your products). Cookie dough orders will be delivered at about 1pm to the choir room. It must be taken home that day to avoid it spoiling. You must either refrigerate it or deliver it as soon as possible. You have until 5pm to pick up your cookie dough next Friday. Any money you have collected up front, must be turned in to the finance office and a receipt must be put in the receipt box in the choir room. Any money you are collecting at delivery needs to be turned in to the finance office no later than Friday, October 2nd and receipts put in the choir room receipt box. Cookie dough credit information will be available, at the very latest, on Tuesday, September 22nd--in preparation for the $300 tour payment due on Wednesday, September 23rd. Starting now, you may go ahead and complete the Disclosure Document Assignment found under the "Assignments" tab above. You will need to read the 2015-2016 Disclosure Document, follow a few additional steps, and then print the Disclosure Worksheet, sign it, and turn it in by August 28th for full credit. Auditions for Salem Hills Concert Choir, Serendipity, and Singers will be held April 23, 24, 27, 28, and 30th in the SHHS Choir Room. You may now begin to sign-up for an audition time. Audition forms and sign-up lists are outside the Choir Room. Please read the document below for further details on what to expect for your audition. Sophomores 2015-2016 Click Here for Information about SHHS Choirs! You will do something that is totally beyond your comfort zone and then write and tell me all about it! I don’t want you to do anything illegal or that might get you into trouble. Do something that is out of the ordinary for you. This could be calling a long-lost friend, asking someone out on a date, spending a weekend-evening with your parents instead of going out with friends, etc. It could be as simple as letting someone know how much you love them. Whatever you decide to do, it must be something that exposes you to certain risk (but not physical danger), makes you a little uncomfortable, and ultimately, makes you feel better once you’ve done it. You will submit your reflection on our website, www.shhschoirs.org using the link on the home page "Submit Comfort Zone Assignment #3." Your responses to the following questions will tell me everything about the experience: 1) what the experience was, 2) how you chose it, 3) how you felt leading-up to it, 4) how you felt following the experience, and 5) the important lessons you learned. Please adhere strictly to those five requirements and you will succeed on this assignment. Now that the proposed plan to tour Chicago for the annual SHHS Choir Tour has been approved by the parents and the district, we must begin making payments to our tour company. Please visit the "Tour" section of this website for more information. Starting now, you may go ahead and complete the Disclosure Document Assignment found under the "Assignments" tab above. You will need to read the 2014-2015 Disclosure Document, follow a few additional steps, and then print the Disclosure Worksheet, sign it, and turn it in by August 28th for full credit. The summer is nearly come to an end, and in a few short weeks, we'll be back on campus, making beautiful music again. Everyone in Concert Choir and Serendipity should have received an email from Mr. Bills today, detailing information about wardrobe, choir tour, fees, and our performance calendar. If you did not receive that email, please contact Mr. Bills as soon as possible, justin.bills@nebo.edu. See you on August 19th! On Thursday and Friday, February 13-14, we will be taking our official choir portraits for the 2014 SHHS Yearbook. All choir members are expected to participate in the portraits. Students should bring their official performance wardrobe to class. They will be given a few minutes to change clothes before we take the picture. They will also have some time after the photo shoot to change back into their school clothes. If you would like to purchase a group photo, the cost is $15. Our photographer, Megan Heaps, is also making herself available to take Individual Portraits, wearing either your choir performance uniform or anything the student would like to wear. These portraits will take place after the group portrait is completed. The cost for this individual portrait is $30. An envelope will be provided to students for turning in money. Checks should be made out to Megan Heaps. Please click the link below to fill out the electronic Concert Review form. Please note that this assignment is due no later than 12:00am (midnight) the evening of Thursday, October 24th for full credit. Late assignments will receive one full-letter grade deduction. Starting now, you may go ahead and complete the Disclosure Document Assignment found under the "Assignments" tab above. You will need to read the 2013-2014 Disclosure Document, follow a few additional steps, and then print the Disclosure Worksheet, sign it, and turn it in by August 30st for full credit. 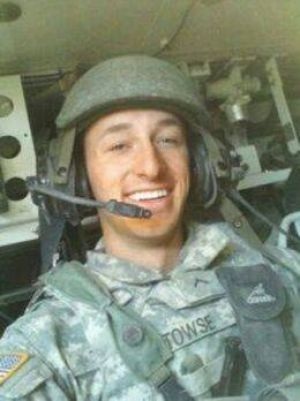 Cody Towse's funeral will be this Saturday. Below is the information we currently have regarding this performance. New information is highlighted in light blue. Cody's parents have asked that we sing "Thou Gracious God Whose Mercy Lends," "And Wherever You Go," and "Tell My Father." The services will be held on Saturday, June 1st at 11:00am in the Salem Hills High School Auditorium. -Choir members need to arrive no later than 9am for a quick warm-up and rehearsal on the stage. -You will be assigned a seat offstage behind the choir risers where you will sit while we are not performing. You must be in that seat by 10:45am prior to the start of the services. -Because so many guests and dignitaries will be attending the funeral, please park in the parking lot north of the building, but enter the side doors (where we sign-in for normal concerts). We also are trying to gather SHHS Choir Alumni who may have known Cody or who simply want to be involved, to join us for "And Wherever You Go." The music is posted above for any SHHS Choir Alumni to review, prepare, and sing with us on June 1st. 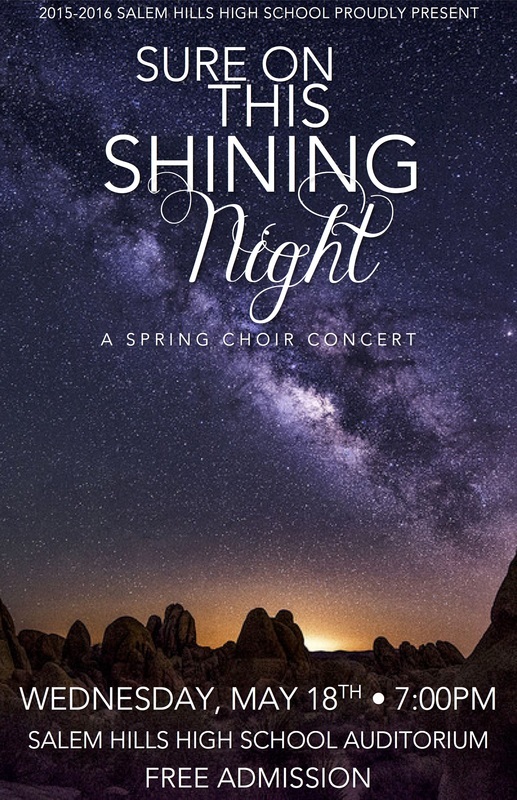 Order DVDs and CDs from our Spring Concert "A Jubilant Song"
Come celebrate with us a glorious year of choral music on Wednesday, May 15th in our beautiful SHHS Auditorium. Tickets are $3 General Admission. Click the link above "Used Dress Form 2013" to submit information regarding the used dress you would like to sell. Please remember that there is absolutely no guarantee you will sell the dress, but providing this information will help. Zigeunerleben Memorization Assignment: Concert Choir Only--Due Before Rehearsal Friday! Click the link below to submit your Zigeuenerleben Memorization Assignment asignment before class on Friday. A special thank you to Mr. Felt and the Mapleton Chorale for allowing us to use their Robato Part-learning system to help us learn "Thou Gracious God Whose Mercy Lends." Click the link above to be directed to the Maple Mountain Choirs home page. There is an eighth-note icon in the top left corner which will direct you to the Robato page where you can find your part of "Thou Gracious God" near the bottom of the page. Please take the time to listen to your part as soon as possible. -BYU offers many free concerts during the week. Visit byuarts.com to find out more. -The play "You Can't Take it With You," does not qualify for a Concert Review because it was not a musical. Please go to the Serendipity Page under "Our Choirs" to view and complete the assignment. You will do something that is totally beyond your comfort zone and then write and tell me all about it! I don’t want you to do anything illegal or that might get you into trouble. Do something that is out of the ordinary for you. This could be calling a long-lost friend, asking someone out on a date, spending a weekend-evening with your parents instead of going out with friends, etc. It could be as simple as letting someone know how much you love them. Whatever you decide to do, it must be something that exposes you to certain risk (but not physical danger), makes you a little uncomfortable, and ultimately, makes you feel better once you have done it. Your reflection will be typed using the link, telling me everything about the experience: 1) what the experience was, 2) how you chose it, 3) how you felt leading-up to it, 4) how you felt following the experience, and 5) the important lessons you learned. Please adhere strictly to those five requirements and you will succeed on this assignment. We have the privilege here at Salem Hills High School of participating in a Solo and Ensemble Festival. All choir students are encouraged to participate, but members of Singers are required to participate as part of their Performance Participation grade for the third term. The festival will take place afterschool on Tuesday, February 5, 2013. You may sign-up for a time beginning Tuesday, January 22nd outside the Choir Room.If you receive a ranking of I, you will be required to perform in the Region Solo and Ensemble Festival, to be held this year at Salem Hills on Wednesday, March 6th, 3:00-7:00pm. If you receive a ranking of I at the Region Festival, you will be required to perform in the State Solo and Ensemble Festival at Lone Peak High School on Saturday, April 26th. We are excited to introduce our student teacher from Brigham Young University's Music Education Department, Lindsey DeBroux! Mrs. DeBroux joins us from Phoenix, Arizona where she sang in her High School choirs. She will be student teaching with us at SHHS Choirs until April as part of her graduation requirements from BYU. While at BYU, she has sung with the BYU Women's Chorus and the BYU Concert Choir. She will graduate in April 2013. She has operated a private voice and piano studio for seven years and has worked at Art City Music Academy in Springville as a voice and piano teacher for the past two years. Mrs. DeBroux resides in Provo with her husband, Bradley. 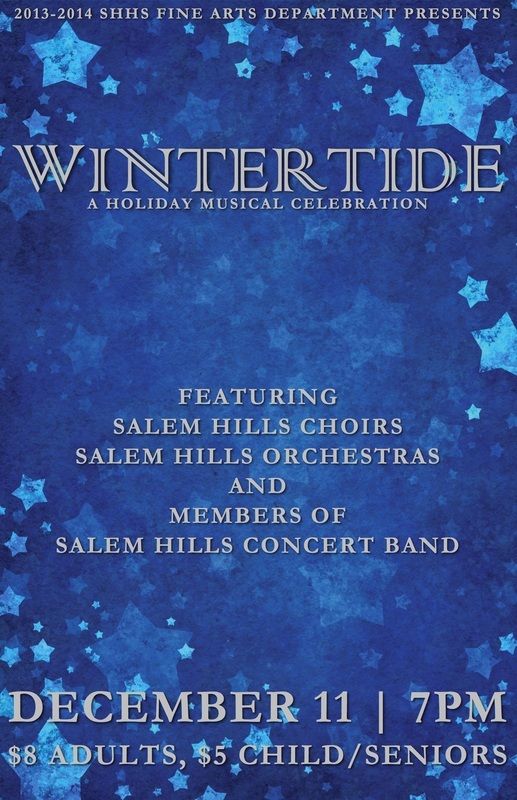 CDs and DVDs of "Wintertide: A Holiday Musical Celebration"
Click Here to Order a CD or DVD of "Wintertide"
"Wintertide: A Holiday Musical Celebration"
Our annual Holiday Concert, "Wintertide" will be on Wednesday, December 12 at 7:00pm in our Salem Hills Auditorium. 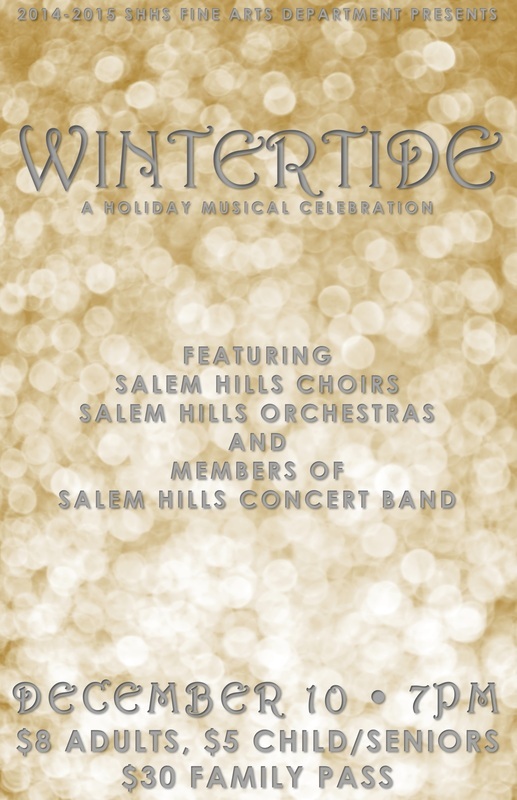 All five Salem Hills Choirs will be featured, along with the Philharmonic Orchestra and Chamber Orchestra, Concert Band, and Dance Company. Following the concert, the audience is invited to attend a catered reception in the auxiliary gym at no extra charge. Adults are $8, Students and Senior Citizens are $5, Family Passes are $25 (up to 5 people, with each additional family member at $3/each). Please see the Tour section of this website to access information about the $200 Payment due today. You may pay online using myschoolfees.com or at the finance office with a check. All checks must be made out to Salem Hills High School and receipts should either be e-mailed to Mr. Bills or placed in the Receipt Box in the Choir Room. Fall Choir Showcase, "Songs of Praise and Pilgrims"
Please click the link below to complete the Concert Reflection assignment for the Fall Choir Showcase, "Songs of Praise and Pilgrims"
You may now order your CD or DVD from "Songs of Praise and Pilgrims" Fall Choir Showcase using the following link. CD's are $10 and DVD's are $15. You'll have to scroll to find Salem Hills High School. CD's and DVD's will only be sold using the Sonus Production Website this year. Please do not send money to the school to purcahse a CD or DVD. 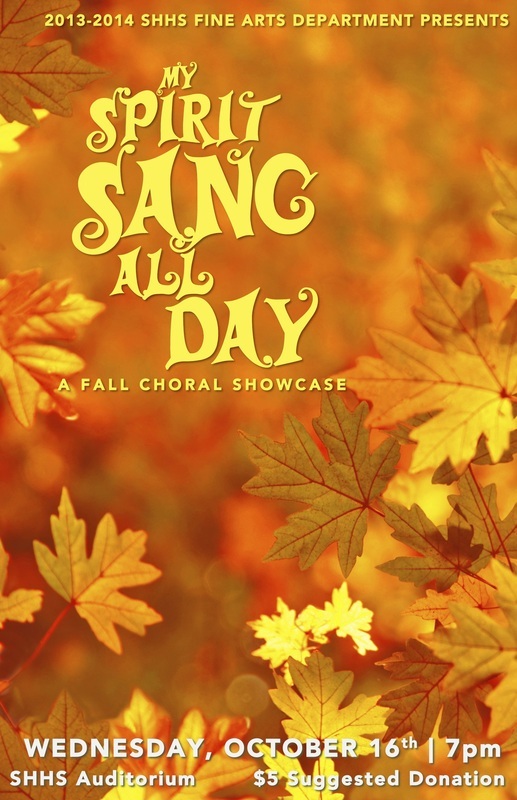 You'll have to scroll to the bottom to find "Salem Hills High School: Songs of Praise and Pilgrims"
Our Annual Fall Choir Showcase, entitled, "Songs of Praise and Pilgrims" will be October 3, 2012 at 7:00pm. 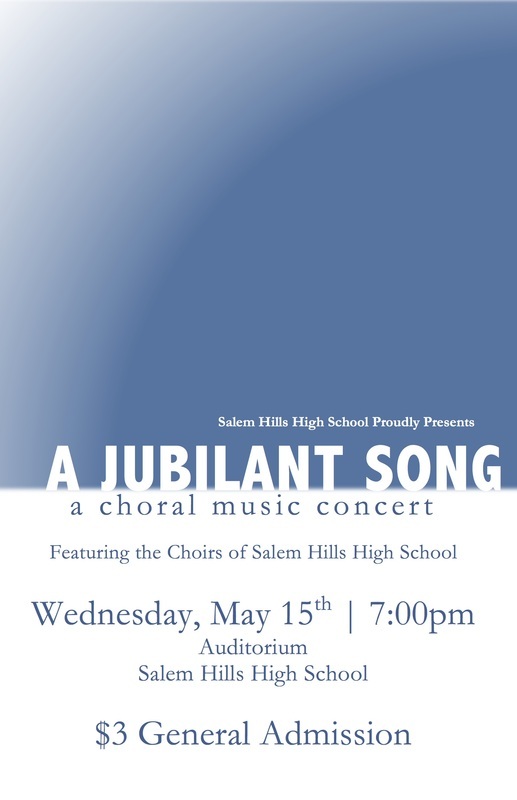 Please come and join all five Salem Hills choirs for this terrific, opening concert of the year. 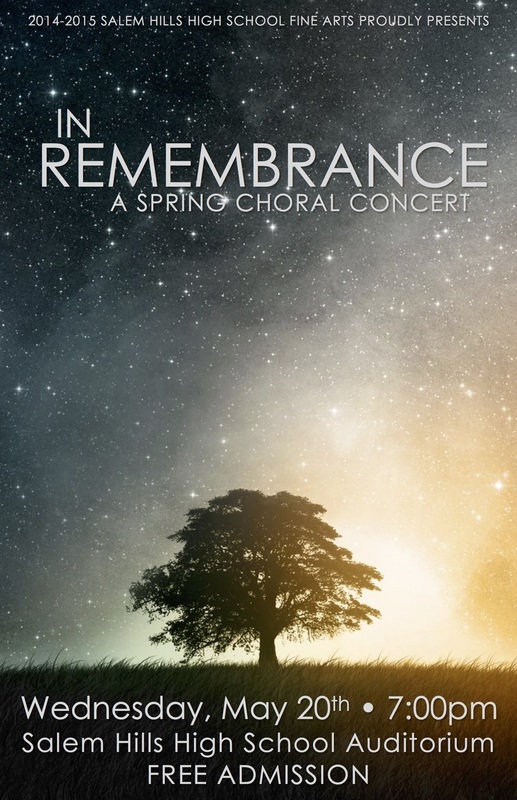 Serendipity, Concert Choir, Men's Camarata, Singers, and Women's Chorale will all perform a variety of pieces, including Ryan Murphy's beautiful piece, "Pilgrim Song." The Self-Exploration Presentation is due on Thursday, September 6th. Click here to find a link to read more about the assignment. It must be e-mailed to Mr. Bills at justin.bills@nebo.edu no later than 11:59pm on Thursday evening for full credit. Please click the link to the right to complete the Disclosure Document Assignment. There are six steps and to get credit, you must complete all six. Click the link at the right to read more. Please see the Tour section of this website to access information about the $200 Payment due on Tuesday, August 28th. You may pay online using myschoolfees.com or at the finance office with a check. All checks must be made out to Salem Hills High School and receipts should either be e-mailed to Mr. Bills or placed in the Receipt Box in the Choir Room. Welcome to the official website of SHHS Choirs in Salem, Utah. 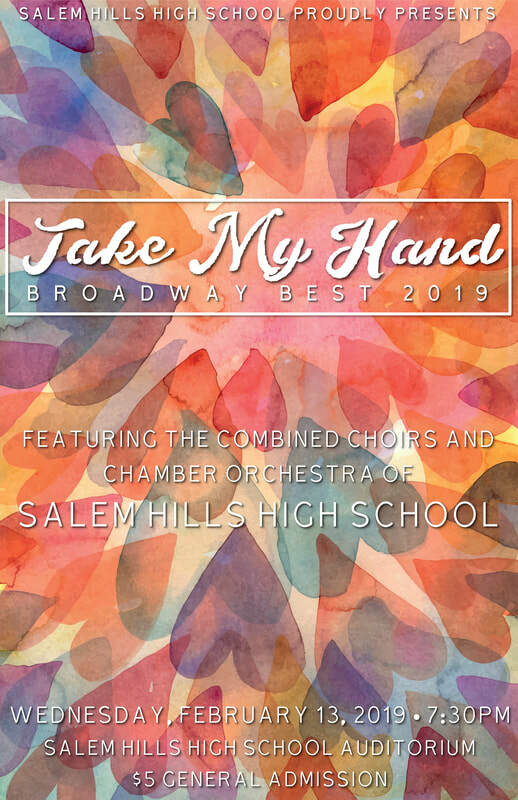 This page is designed to not only help the students who are members of the five choirs at Salem Hills, but also as a resource to parents, community, and fans. There are some important links to the right where you can find some valuable information regarding the choral program at Salem Hills. As this website grows and develops, we will incorporate more information, multimedia, blogs, etc. Please let us know if you think there are any ways we can improve this website.